UPMC’s Information Services Division Rotational (ISDR) program is a two-year leadership development program that provides participants with four, six-month rotations exploring areas of information services and technology. What are your plans after college? It’s a question every college student has heard too many times, and it’s a tough one to answer. We in the Information Services Division Rotation (ISDR) program have two common interests: We’re passionate about technology, and we want to use our skills to improve lives. These qualities helped us answer that tough question; they brought all of us to the ISDR Program at UPMC. Before we became the newest participants in UPMC’s ISDR program, we were just kids with a dream. Now, we’ve started living our dreams, and we’re sharing our stories with you. Find out why we chose UPMC as the place to begin our careers—and why you should, too! 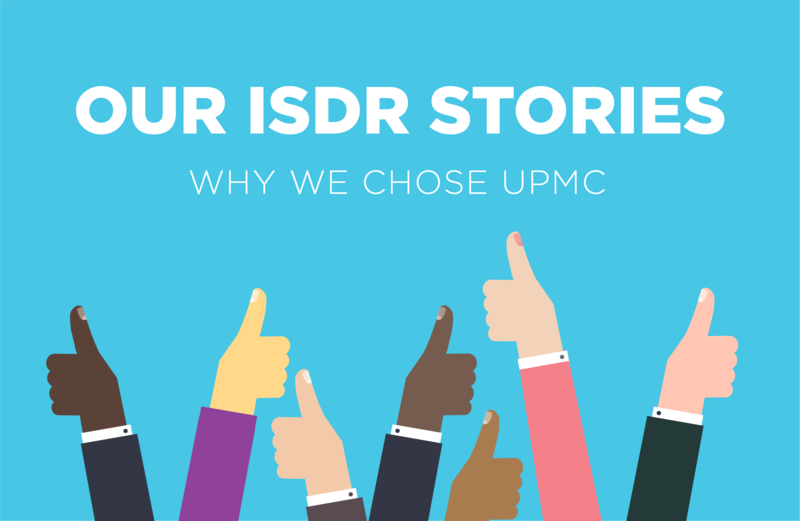 Whether it was a mentor, a lifelong love of technology, or an interest in medicine, each of us came to UPMC’s ISDR program with our own life experiences, goals, and dreams. As current participants in the program, we are glad that UPMC chose us, and we’re really glad we chose UPMC, too! Interested in becoming an ISDR at UPMC? With a full-time salary and full-time benefits, you will gain high-level exposure to all of our executives, and gain valuable industry experience while you’re at it! Upon completion of the program, graduates are highly sought after for complex roles across the organization. Learn more about UPMC’s ISDR program here.